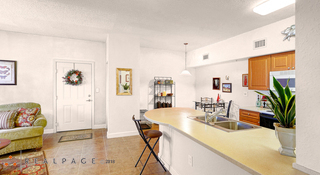 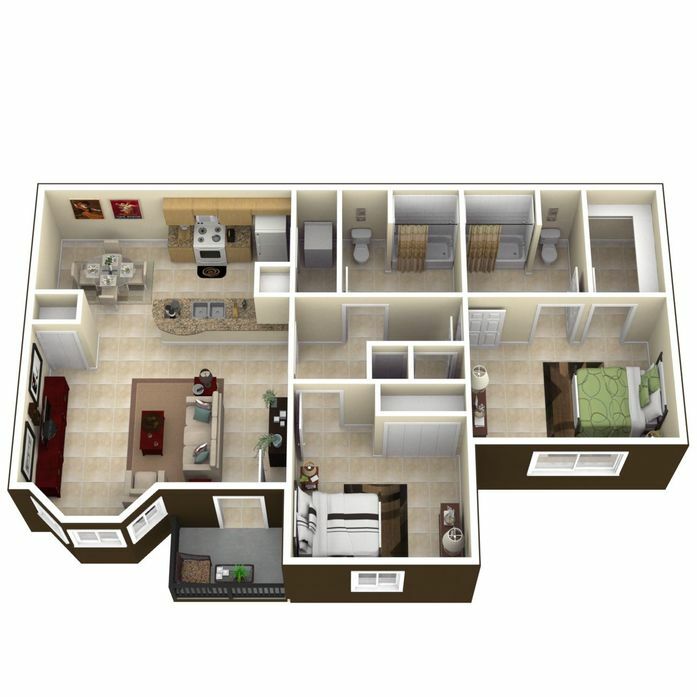 Our apartments feature "Open-Air" living, dining, kitchen areas as well as fully equipped kitchens with Energy star rated appliances, walk in closet in master bedrooms and ceiling fans. 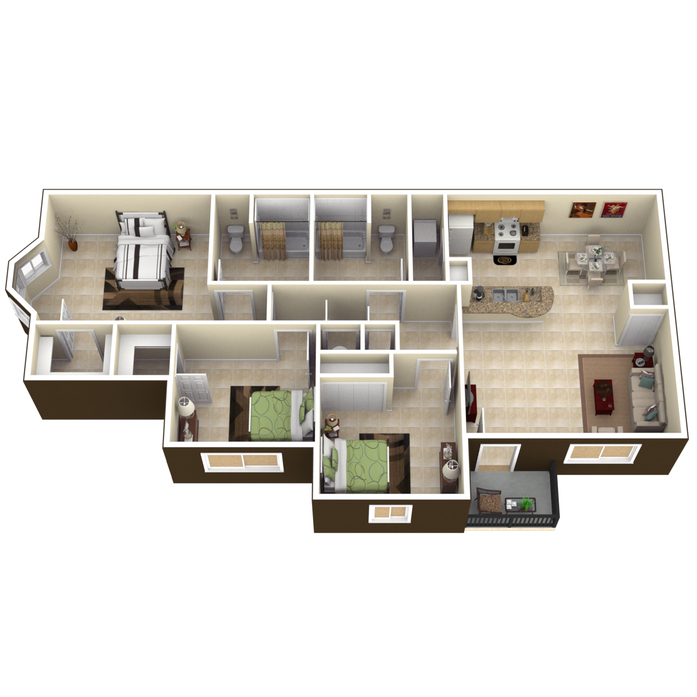 All units are central air conditioners and we feature optional Washer and Dryer. 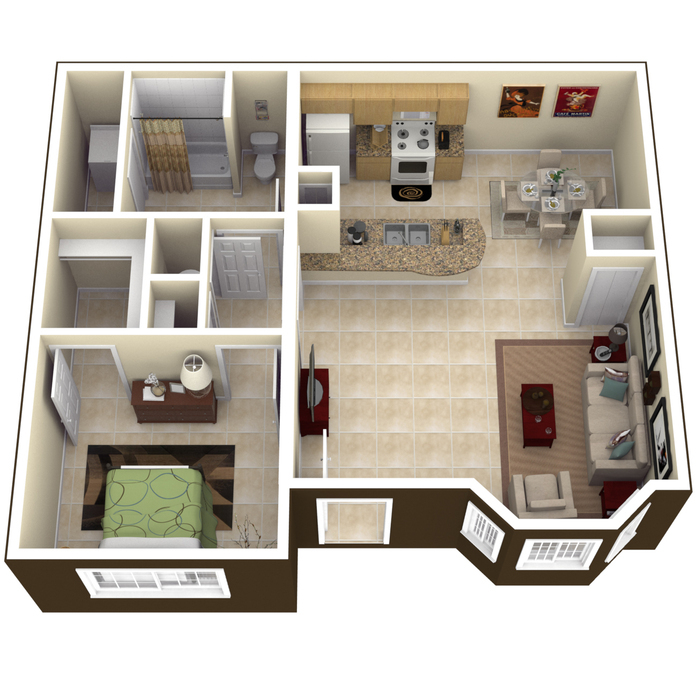 Our floor plans also feature ceramic tile throughout.